“Market volatility has picked up again over the past few weeks. Headlines highlight risks regarding interest rates, the Fed, China, house prices, auto sales, trade wars, and more. Uncertainty abounds. But doesn’t it always? I have no view on whether the recent volatility will continue for a while, or whether the market will be back at all-time highs before we know it. I remain focused on preserving and growing our capital, and continue to believe that the best way to do so is via a value-driven, concentrated, patient approach. I shun consensus holdings, rich valuations, and market fads, in favor of solid, yet frequently off-the-beaten-path, businesses run by excellent, aligned management teams, purchased at deep discounts to intrinsic value,” are the words of Maran Capital’s Dan Roller. His stock picks have been beating the S&P 500 Index handily. We pay attention to what hedge funds are doing in a particular stock before considering a potential investment because it works for us. So let’s take a glance at the smart money sentiment towards Celgene Corporation (NASDAQ:CELG) and see how it was affected. Is Celgene Corporation (NASDAQ:CELG) ready to rally soon? Money managers are betting on the stock. The number of bullish hedge fund bets moved up by 2 lately. Our calculations also showed that CELG isn’t among the 30 most popular stocks among hedge funds. CELG was in 58 hedge funds’ portfolios at the end of the fourth quarter of 2018. 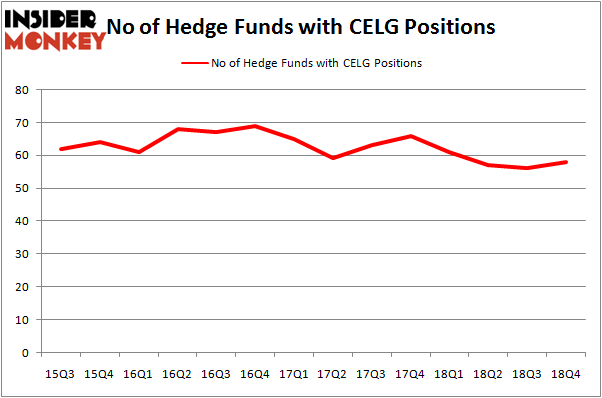 There were 56 hedge funds in our database with CELG holdings at the end of the previous quarter. According to most stock holders, hedge funds are viewed as worthless, old financial vehicles of the past. While there are over 8000 funds trading at present, Our experts look at the masters of this group, around 750 funds. 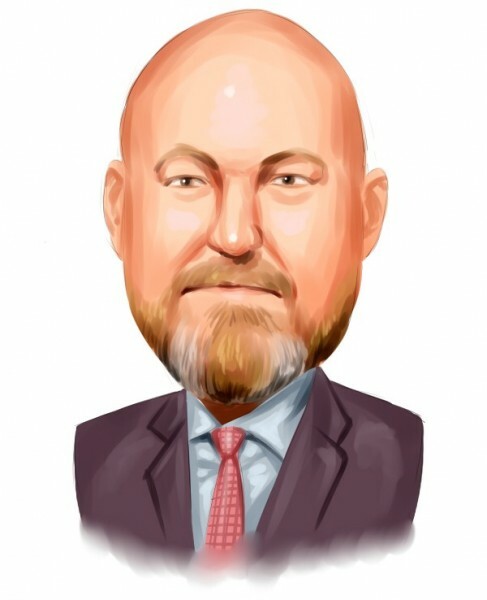 These hedge fund managers have their hands on the lion’s share of the smart money’s total capital, and by tailing their top equity investments, Insider Monkey has brought to light many investment strategies that have historically defeated the broader indices. Insider Monkey’s flagship hedge fund strategy exceeded the S&P 500 index by nearly 5 percentage points a year since its inception in May 2014 through early November 2018. We were able to generate large returns even by identifying short candidates. Our portfolio of short stocks lost 27.5% since February 2017 (through March 12th) even though the market was up nearly 25% during the same period. We just shared a list of 6 short targets in our latest quarterly update and they are already down an average of 6% in less than a month. We’re going to check out the key hedge fund action surrounding Celgene Corporation (NASDAQ:CELG). At Q4’s end, a total of 58 of the hedge funds tracked by Insider Monkey were bullish on this stock, a change of 4% from one quarter earlier. On the other hand, there were a total of 61 hedge funds with a bullish position in CELG a year ago. With the smart money’s positions undergoing their usual ebb and flow, there exists a select group of notable hedge fund managers who were boosting their stakes significantly (or already accumulated large positions). The largest stake in Celgene Corporation (NASDAQ:CELG) was held by Orbis Investment Management, which reported holding $932.4 million worth of stock at the end of September. It was followed by D E Shaw with a $454.3 million position. Other investors bullish on the company included AQR Capital Management, Millennium Management, and Arrowstreet Capital. As aggregate interest increased, key hedge funds were leading the bulls’ herd. Camber Capital Management, managed by Stephen DuBois, assembled the biggest position in Celgene Corporation (NASDAQ:CELG). Camber Capital Management had $96.1 million invested in the company at the end of the quarter. Doug Silverman and Alexander Klabin’s Senator Investment Group also initiated a $64.1 million position during the quarter. The other funds with brand new CELG positions are Arthur B Cohen and Joseph Healey’s Healthcor Management LP, Michael Kharitonov and Jon David McAuliffe’s Voleon Capital, and Michael Castor’s Sio Capital. Let’s now review hedge fund activity in other stocks similar to Celgene Corporation (NASDAQ:CELG). We will take a look at Suncor Energy Inc. (NYSE:SU), Illumina, Inc. (NASDAQ:ILMN), Telefonica S.A. (NYSE:TEF), and Raytheon Company (NYSE:RTN). This group of stocks’ market caps match CELG’s market cap. As you can see these stocks had an average of 29.5 hedge funds with bullish positions and the average amount invested in these stocks was $949 million. That figure was $4058 million in CELG’s case. Illumina, Inc. (NASDAQ:ILMN) is the most popular stock in this table. On the other hand Telefonica S.A. (NYSE:TEF) is the least popular one with only 6 bullish hedge fund positions. Compared to these stocks Celgene Corporation (NASDAQ:CELG) is more popular among hedge funds by a large margin. Our calculations showed that top 15 most popular stocks among hedge funds returned 19.7% through March 15th and outperformed the S&P 500 ETF (SPY) by 6.6 percentage points. Hedge funds were also right about betting on Celgene as the stock returned 38% and outperformed the market by a huge margin. Itau Unibanco Holding SA (ITUB): Are Hedge Funds Right About This Stock? Do Hedge Funds Love Diageo plc (DEO)? Hedge Funds Have Never Been This Bullish On Thermo Fisher Scientific Inc. (... Were Hedge Funds Right About Dumping Twenty-First Century Fox Inc (FOX)? Were Hedge Funds Right About Buying Costco Wholesale Corporation (COST)? Were Hedge Funds Right About Buying United Technologies Corporation (UTX)?